As the US attempted coup in Venezuela has failed to produce a meaningful uprising inside the country, Washington has moved to seize Caracas’ overseas assets, including diplomatic buildings. However, their efforts have been frustrated by US activists intent on opposing their government’s efforts at regime change. 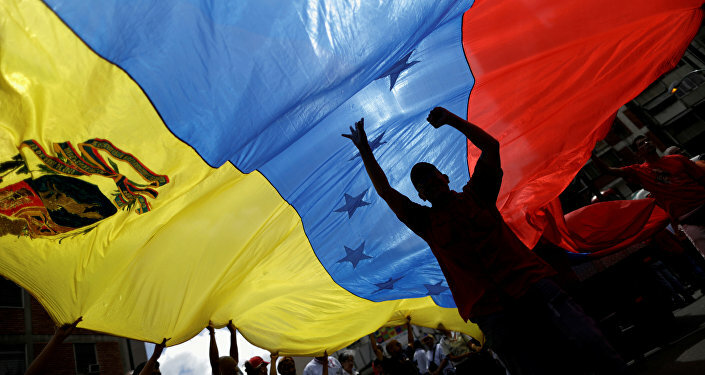 Venezuela's opposition has taken control of three diplomatic facilities in the United States and will attempt to obtain further US-based assets in the near future, Carlos Vecchio, opposition leader Juan Guaido's envoy to the US, told reporters on Monday. "Today, we are taking control over three facilities, three buildings," Vecchio said. "Two of them are located here in Washington, DC, and the other one is the building in which the consulate services works" in New York. Vecchio said they expected more such seizures "in the days to come. "The Venezuelan government later confirmed in a statement that the country's diplomatic representation offices in the United States had been illegally taken over by opposition members. ​"The Bolivarian Republic of Venezuela informs the international community that its diplomatic premises in the United States have been forcibly seized by people who enjoy official support of the US government and act as its agents in its political interests and in the direct violation of the Vienna Convention on Diplomatic Relations," a statement posted on Twitter by Venezuelan Foreign Minister Jorge Arreaza said. US State Department spokesperson Robert Palladino subsequently said the department "was pleased to support" the seizures. However, anti-war activists in the US weren't so pleased, and rallied outside the New York consulate to disrupt the opposition's celebration, forcing them to obtain armed guards before they could leave the premises. ​In Washington as well, activists with anti-war organizations Codepink and ANSWER (Act Now to Stop War and End Racism) moved to make Guaido's representatives unwelcome in the seized properties. Last weekend, ANSWER, Codepink and dozens of other anti-war organizations held a rally and protest march several thousand strong in the US capital, with the tagline "no sanctions, no new war, no coup in Venezuela." Since January 23, Guaido has claimed himself to be the interim president of Venezuela and that President Nicolas Maduro's office is vacant, as according to Guaido, Maduro is not democratically elected. The US and about 50 other nations, mostly Latin American nations in the Lima Group as well as European nations, have backed Guaido's claims and moved to make life in Venezuela intolerable for ordinary citizens. 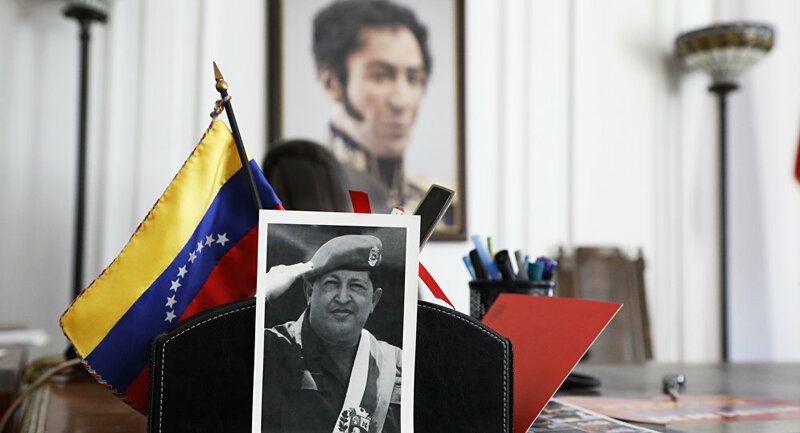 However, about three quarters of the world's nations have maintained their relations with the government of Maduro, as he was re-elected to a second term last May in elections that international observers widely hailed as free and fair. However, so far, attempts by Guaido and the US to provoke an uprising or a military coup in Venezuela that would throw Maduro out of power have failed, and so Washington has moved to seize the country's overseas assets, including its diplomatic missions but also Citgo, the US-based subsidiary of state-owned oil company PDVSA. The Bank of England also seized roughly $1.5 billion in Venezuelan state gold, following requests by Guaido to prevent its repatriation. In Washington on Wednesday, reports that Guaido's representatives were moving to seize the main embassy in the city's Georgetown district prompted activists to flock there and defend it. Invited in by Venezuelan diplomats who remained in the US, they painted signs and hung banners, making it clear that any attempts by the opposition to occupy the premises were not done with the consent of the government that owned the property. ​Sputnik spoke with Codepink co-founder Medea Benjamin, who said some activists had spent the night at the embassy, as the opposition could have moved to occupy it at any time. "We were horrified at seeing two days ago that the Venezuelan opposition had taken over two buildings in Washington, DC, that belonged to the Venezuelan military attache, as well as the Venezuelan consulate in New York, and we think this is a total violation of international law," Benjamin told Sputnik. "It's part of the US-orchestrated coup, and we think that it's our obligation as US citizens to try to protect the integrity of Venezuela's property in our nation's capital. And that's why we're here, and we just did a rally outside the embassy, and we will continue to stand here to say that the US cannot continue to violate international law and that we are against all that they're doing to impose economic sanctions and try to make life so miserable for the Venezuelan people that they rise up against their government." "It's none of our business what's happening in Venezuela. It's an issue for the Venezuelan people. The US should step out and should not be supporting and manipulating this coup," the activist said. ​The activists had copies of the Vienna Convention on Diplomatic Relations of 1961, which Benjamin explained "says that the premises of diplomatic buildings, including missions and embassies and consulates, are inviolable, which means that the state, the hosting country, in this case the United States, has a special duty to take all appropriate steps to protect the premises of those buildings against intrusion or damage, and to prevent any disturbance of the peace of impairment of its dignity." ​However, Benjamin noted that when the shoe is on the other foot, the US "does not take kindly to anybody taking over its premises." "We have the example of Iran, where the US embassy was taken over in the hostage crisis and in which the US broke relations with Iran and has never reestablished them for 40 years."